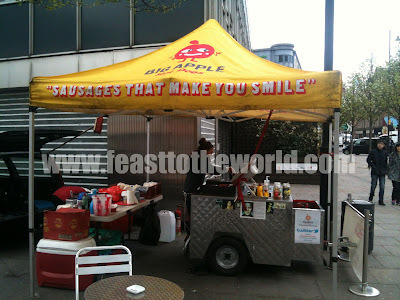 I set off yesterday afternoon on a one-man mission in search of the elusive Big Apple Hot Dogs. 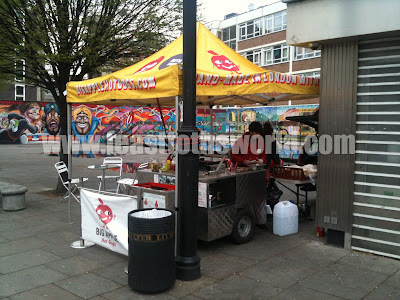 This street cart establishment has been attracting quite a huge followings on the street food scene especially with the recent #BlogEATBlog events in Vibe bar on Brick lane whereby bloggers and fans are invited to create their version of toppings to go with the hot dogs. That is how I have come to hear good things about this hot dog stand. 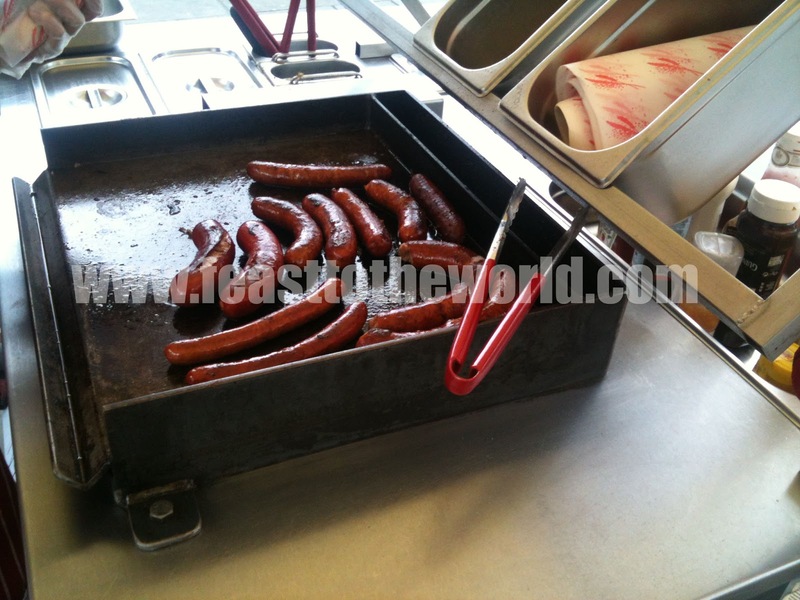 Abiye Cole is the brain and actions behind the Big Apple Hot Dogs. 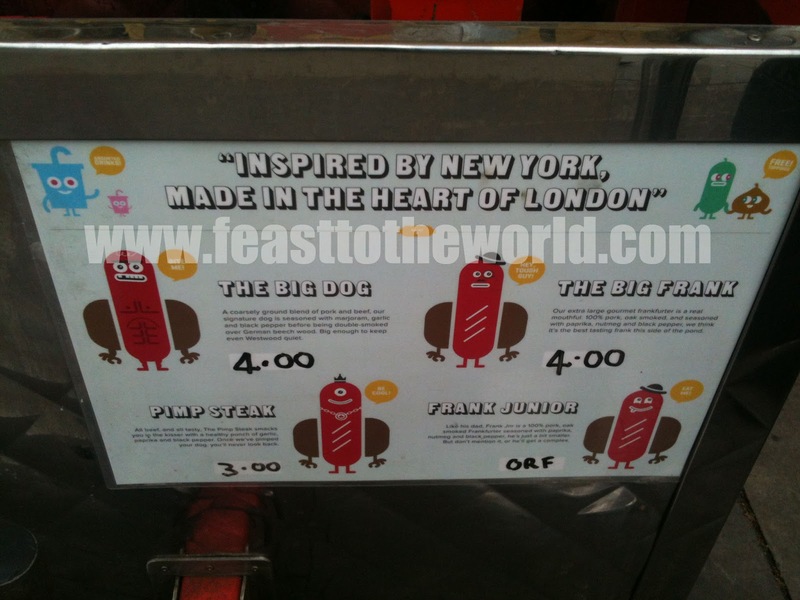 His aim was to created a hot dog no liked others by making his own using 100% free-range pork and prime beef so I am pretty darn excited to find out if it does taste as good as it sounds on the paper. 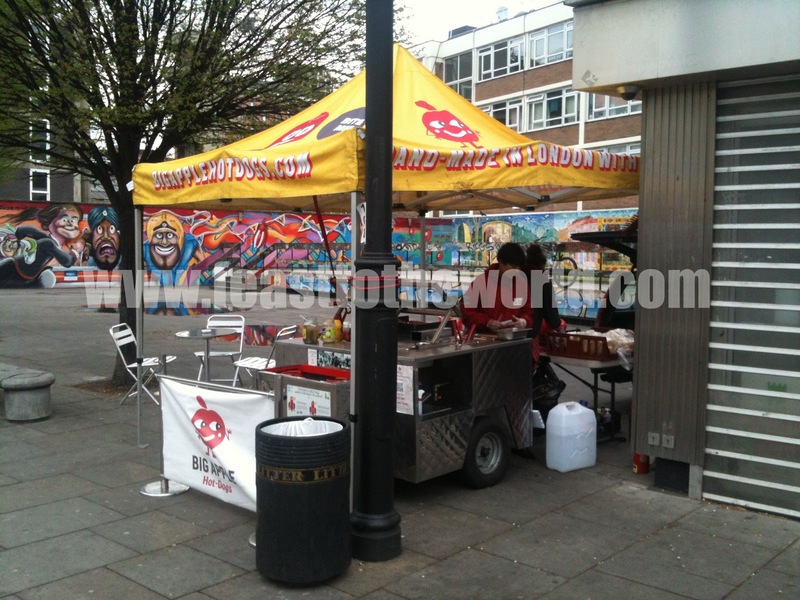 The bright yellow gazebo was surprisingly easy to spot, along with the red apple logo is a rather cheerful sight amongst all the grey concrete buildings that surrounds it. I duly approaches and already was tempted by the whiff of the grilling sausages, something quite magical about the smell of seared sausages and onions. After querying about the different sausages available, which the knowledgeable lady attending the stall explained with great details, I decided to go for the signature Big Dog (£4). Upon my first mouthful, I was taken back. 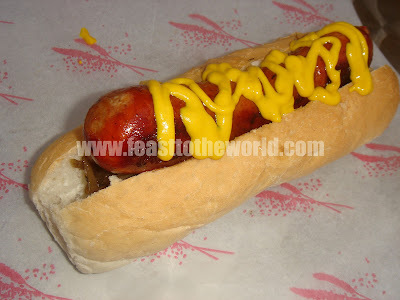 Now in my memories, all the hot dogs that I have ever eaten are pale pinkish and chewy meat encased in a rubbery plastic-like casing (sound awful doesn't it?). This is nothing like it. It is deep red with course bits of beef and pork, beautifully spiced and had that wonderful snap as I bite into it. The flavours of the meat is just incredible, this is like one of those good-quality sausage that you get in a reputable butcher shop and couldn't be further way from the run-of-the-mill hot dogs out of a jar or tin. Even the buns were light and fresh. This I later found out from the lady is due to the fact that they only buy good quality bread freshly baked from the bakers. As I left the premises, I couldn't helped but felt a bit disappointed that I didn't get to meet the man behind all these. This obviously is a true work of passion, paying attention to every bit of details in order to offer the diner a perfect munching experience. 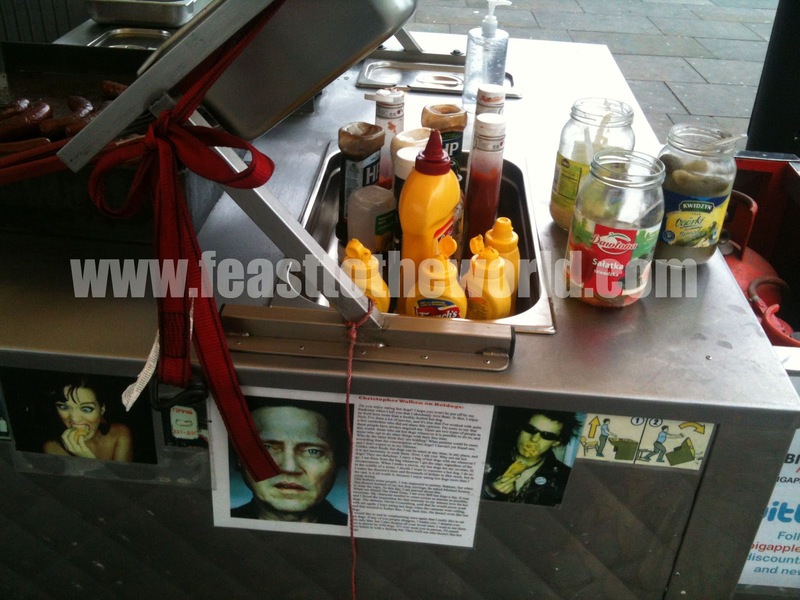 But I will be back, now that I have my loyalty card, I'll be aiming for my free eighth hot dog. I love hot dogs! I make mine exactly like that one and we watch a film while we eat them. Yum!